Shopping for South Park Pop! Vinyl Figures? Come on down to South Park and leave your woes behind! From the long running cartoon series, South Park, comes a Pop! Vinyl of Professor Chaos aka Butters. 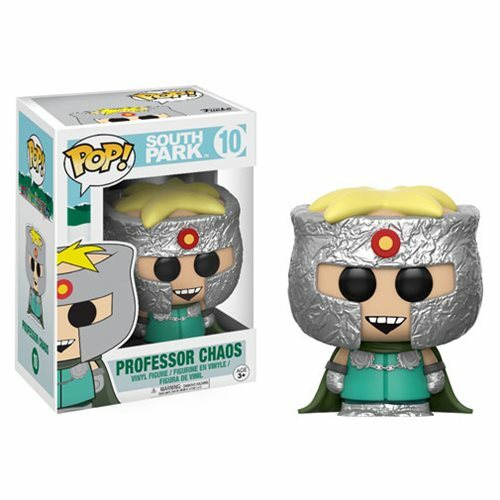 Packaged in a window display box, the South Park Professor Chaos Pop! Vinyl Figure measures approximately 3 3/4-inches tall. Ages 3 and up.